Is the seasonal burnout of running your landscaping business wearing you out? Landscape businesses are seasonal and that can be tough! Most owners and managers end up on the edge of burnout at the end of one season, and then totally overwhelmed as they ramp up for the next season. I’ll bet the season change brings both relief as well as a whole new batch of stress. "How can you leap that hurdle once and for all?" You didn’t earn enough money in this past week, month, or season! Your design process keeps stalling out with client push back on price! You watched your profit disappeared on your last job because you  under-estimated labor hours or material volumes! Your slow paying clients are upsetting your cash flow and they don’t  understand the value you bring to them! Your employees have no idea what it takes to keep business coming in  so that they have a steady paycheck! Your feeling exhausted, worn out, and totally ready to throw in the  towel if something doesn’t change soon!!!!! does any of this sound familiar? I call this CRISIS-Mode and it’s no fun at all! The solution to Crisis-Mode is to make a SHIFT in how you approach your landscape services and selling system. You need a clear plan in place to know what’s coming up in the next season – before it hits you! A shift means a pivot or a course change. The key is to shift “right” so it’s not just a temporary fix  that evaporates and lands you back where you started. What’s the POWER MOVE that’s going to permanently  shift you out of the business struggle cycle? You’re earning more than enough money each season! Your design clients are happy to invest in your creative  genius! Your install jobs are profitable AND enjoyable! Your landscape maintenance clients totally “get” you and  your business! Your employees appreciate you and are taking great care  of all your landscape clients! You feel inspired and full of energy to take on each day  AND each season! Your Priority is to Define your Power Move! This is totally in your control – because it’s all connected to how you’re thinking about your business. I’m not going to ask you to do MORE. I know you’re already overloaded. I’m asking you to take a break and step back for a moment in order to figure out how to carve out some time to regularly and consistently work ON your business instead of IN it. Give yourself permission to make a move toward your future success and freedom! 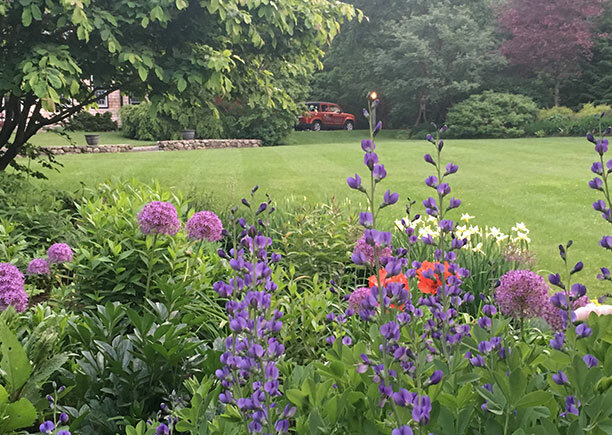 landscape professionals aren’t afraid of HARD work… so making these changes should be EASY! If you’ve been struggling, I’m here to tell you to just decide – right now – to stop! You don’t need to suffer any longer! Trust me, I know, first hand, how it feels to get up before the sun, work all day long, miss dinner time and come home hungry and worn out. It isn’t a way to live or to work. I had to make this very same shift for myself! I was exhausted and working too many hours a week. I was in charge of everything, so I was the bottleneck to good flow and I was feeling totally burnt out! Hi, I’m Monique Allen, founder and creative director of The Garden Continuum and I have been working in this industry since 1986! In that time, I spent many years designing, building and maintaining landscapes with my own hands. I know what it’s like to work in the field and then come back and do all the office work too. Today, I have an award winning, 7-figure business that runs with an amazing team of professionals that support me, our clients and each other every day! I’m not special. I don’t work any harder than you do. The only difference is that I figured out how to THINK differently about HOW to build and grow a business. I literally made a shift out of my struggles into my freedom by LETTING GO of old ideas and adopting new ones so I could change my ACTIONS! I started by implementing three business strategies that enabled me to transform my landscape company into a successful revenue machine that pays me back with a great salary and the professional freedom and personal life that I’ve always wanted! Are you ready to break through your next big revenue ceiling? Getting passed the million-dollar revenue mark is one of the most common business goals for entrepreneurs. It's also one of the hardest goals to achieve and exceed! 90% of all landscape businesses in the U.S. never break through the Million-Dollar revenue ceiling! That isn’t because they don’t work hard, it’s because they haven’t built the business structure or adopted the business mindset to support that level of revenue. You’ve been working hard, you’ve been putting in the hours, so what if you took some time to reflect and think differently about your business, so you could decide what to DO differently in your work? Learn how to build a business that works FOR you… instead of drains You! Learn how to design your services to align perfectly with  your special skills! Learn how to make sure you’re closing sales deals every  day with your perfect clients! Filled with 12 downloadable worksheets and training documents to help you solidify your learning experience so you can take ACTION! Get your questions answered and go deeper with your learning with this monthly call. Don’t let yourself feel isolated, this is your very own  accountability call. Work with Monique and your fellow landscape pros to get to the next level of business success. In business for 8 years, I was feeling isolated and struggling to move to the next level. I needed a partner to co-create with, to get me into action with problem solving and business building. Working with Monique changed how I view money, business risk, and growth. I’m running my business more efficiently, having more fun, and earning a more consistent income. Monique has an unparalleled ability to listen! Her genius is to see the design beneath seeming disorder. I love having a seasoned entrepreneur in my corner! After 19 years of building my organic landscape business, I had lost my joy and felt all my time was spent dealing with problems. I needed someone to help me get over these seemingly insurmountable hurdles. Monique listened patiently, she asked deep questions, and she made me do homework! I felt heard, supported and encouraged. With the insights she brought to our meetings, I was able to see clearly what I had to do. Monique’s programs and mentoring continue to help me navigate hurdles and stay grounded in my joy! I have worked with Monique Allen for 7 years and have known her for longer. I’ve witnessed first hand her excitement to teach, learn and share. Building a successful landscape company requires a leader who can take these pieces, combine them with passion, and make them a staple of company culture. 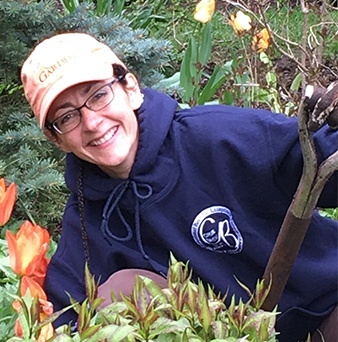 Monique's ability to be teacher and student makes her a valuable resource for other landscape companies, leaders and entrepreneurs. As a former employee and now a new business owner, I am grateful for all that I learned while working with Monique! Are you ready to take a BOLD step into FREEDOM? Get instant access to this course now! You’ll be redirected to RUZUKU, our trusted education platform. Simply create your private account and then proceed to the checkout page to claim your training seat. How to build a business that works for YOU…instead of drains you! How to sell the services that you can be the best at…instead of being a “Jack-of-all-Trades”! Learn how to define your SERVICE OFFERINGS with crystal clear accuracy so that you know what you're positioning in your marketplace. How to make sure you are rolling in money…instead of chasing cash! Learn how to systematize your sales process so you're making QUICK CONVERSIONS from prospect to client and keeping your workflow steady and predictable. Attend our LIVE monthly Learning Expansion session built around YOUR questions. Post all your questions in the training portal and we'll answer them and build an extended learning session to get you the information you need. This is a live session, so we'll monitor the question panel and weave in more high level learning through some Q & A time!